De Dietrich has been on the front lines of incredible technological advances for over 300 years. De Dietrich was born from a generation that had a passion for excellence. They have consistently strove to develop solutions for the problems of an ever changing world. In the beginning, the business centred around the iron-working trade. However, over the centuries, De Dietrich expanded into other sectors, including railway rolling stock, the steel sector, and decorative ironwork. 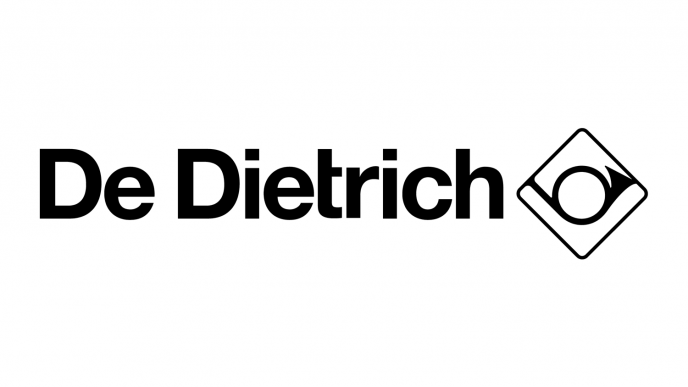 Through it all, De Dietrich was driven by fine design and innovative solutions. The prayers of many were finally answered when they reached out to home-ware in 1910. The Mertzwiller Cooker was the product that started De Dietrich home appliances, and they have been crushing the competition with beautiful, high quality appliances ever since. Enough about history though. What really makes a company like De Dietrich stand out is their quality kitchen appliances. Their ovens and cooking accessories like hoods and coffee machines have no equal. Their sleek designs and high performance put them well ahead of the competition from their washing machines and dishwashers to their refrigerators and freezers. Even their microwaves have a gorgeous design and come in a variety of sizes with different features like their DME1129X, a Built-in Microwave and Grill. De Dietrich is truly in a class of their own when it comes to their Hobs though. In 2007, the company launched the first ever zoneless induction hob. Now they have the best hobs in the business! The DTiM1000C, for example, features true zoneless cooking, full colour touchscreen technology with an 81cm x 40cm cooking zone. In short, De Dietrich is an honest company with amazing products that will make your life easier. Whether you need a new stove or want to update your whole kitchen, there are few better choices out there.